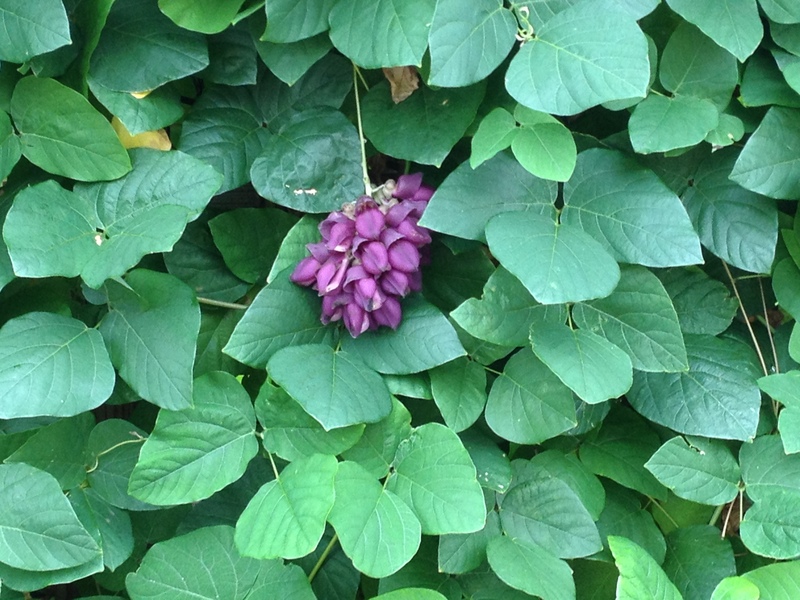 Purple jade vine’s huge flower clusters resemble a cluster of grapes. I love growing vines in the landscape whether they are climbing an arbor, covering a fence, or scrambling through a tree or sturdy shrub. They add a touch of wildness in many cases but also add interest when other plants have finished their show or haven’t started yet. It seems many gardeners are a bit afraid of vines, especially vigorous ones. I often find myself reminding folks that it is OK for their plants to touch and a vine in a tree is only a problem when it grows out of scale. The flower clusters of purple jade vine are quite large with thick-textured blossoms. 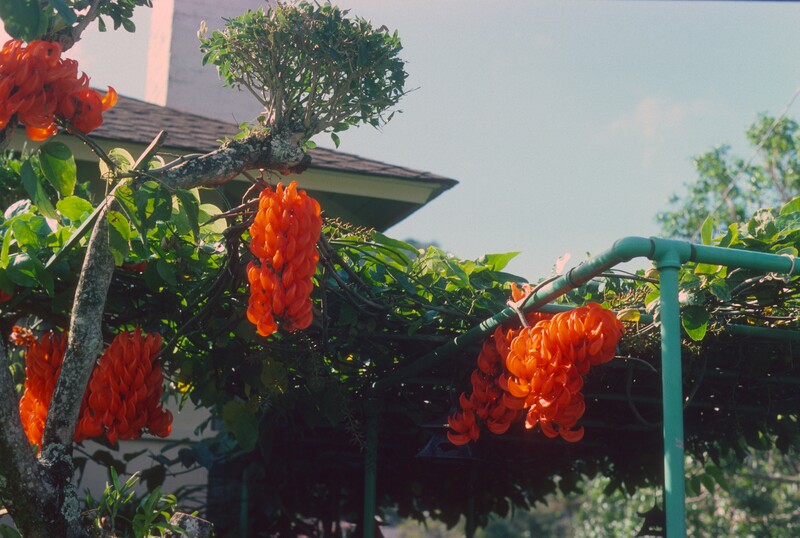 While purple jade vine grows as a large woody vine in sub-tropical climates, it will usually die to the ground in a colder area but spring back in summer with a vengeance. In fact, our plant went in the ground in late summer of 2012 and by mid-summer of 2014 has grown to cover one side of a shade structure easily 12′ wide by 10′ tall and looks likely to double that size if left un-pruned. It doesn’t seem to have any problem climbing on its own but may need some help if it is to be grown up a single post. Full sun to light shade. Ours is growing in a very rich, light soil, we have not experimented with it on heavier clay soils. 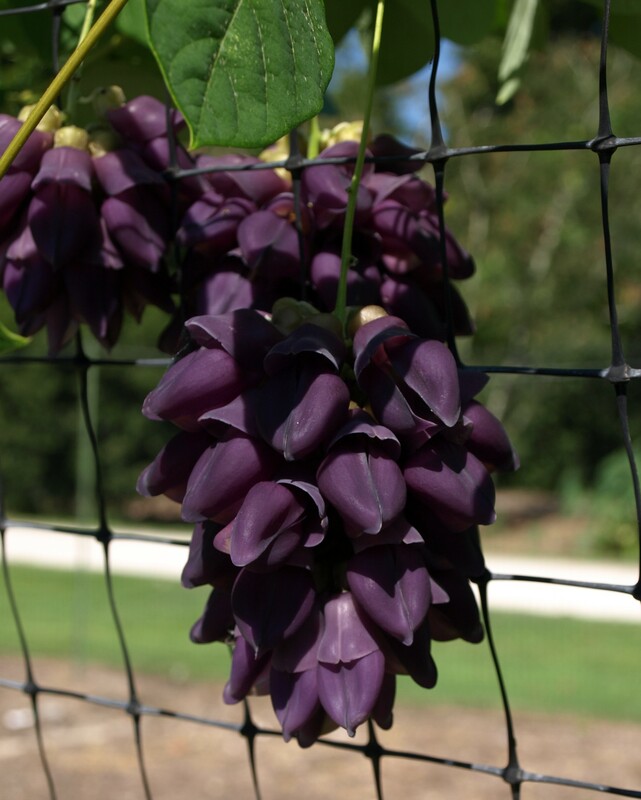 Bold foliage makes a great backdrop to Mucuna cyclocarpa. 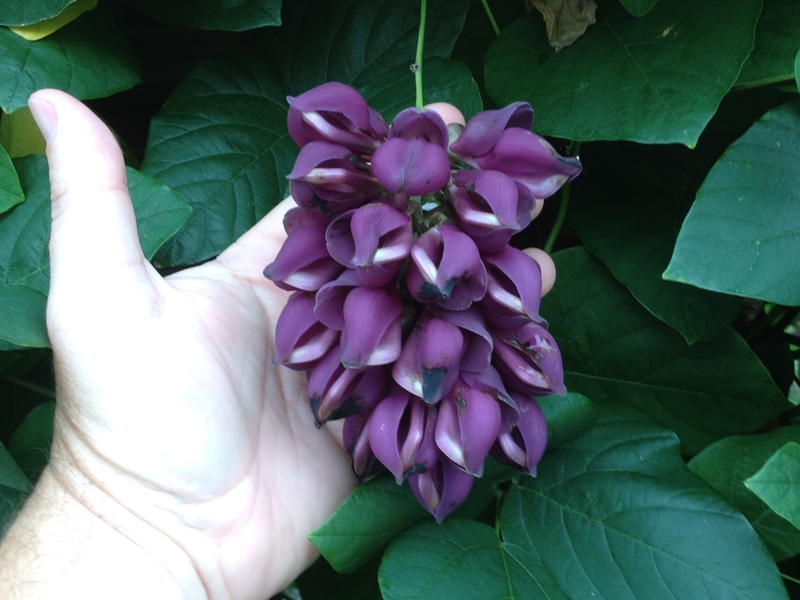 This entry was posted in Plant of the Day and tagged mucuna, purplejade vine, tropicalissimo, vine on July 21, 2014 by Mark Weathington. There are a handful of maples that garner most of the gardening world’s attention – Japanese maples (Acer palmatum), red & sugar (A. rubrum, A. saccharum), Norway (A. platanoides) and a smattering of others. While these are all excellent garden plants and you would be hard-pressed to find many maples that aren’t beautiful, it seems that the painted maple (Acer pictum) often is over-looked. A very old specimen at the Arnold Arboretum. Painted maple ranges across a wide swath of eastern temperate Asia from Siberia through Mongolia and Korea into China and along much of the Japanese archipelago. It was first described in western literature by the Swedish botanist Karl von Thunberg in 1784 but was widely known as Acer mono after it was introduced to the west in the 1880’s. 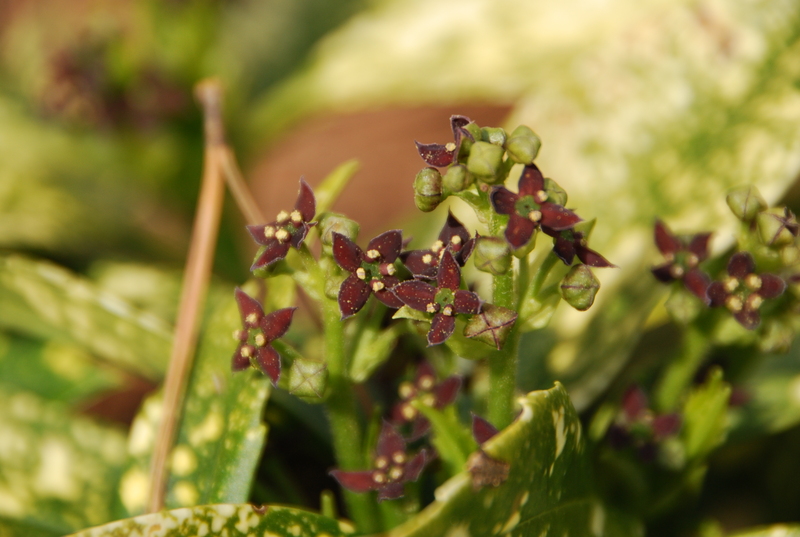 It’s name continues to cause confusion with some authorities using A. pictum to cover the entire species while other botanists break it down into several subspecies including A. pictum subsp. mono. The broad leaves and buttery fall color make a bold statement in autumn. 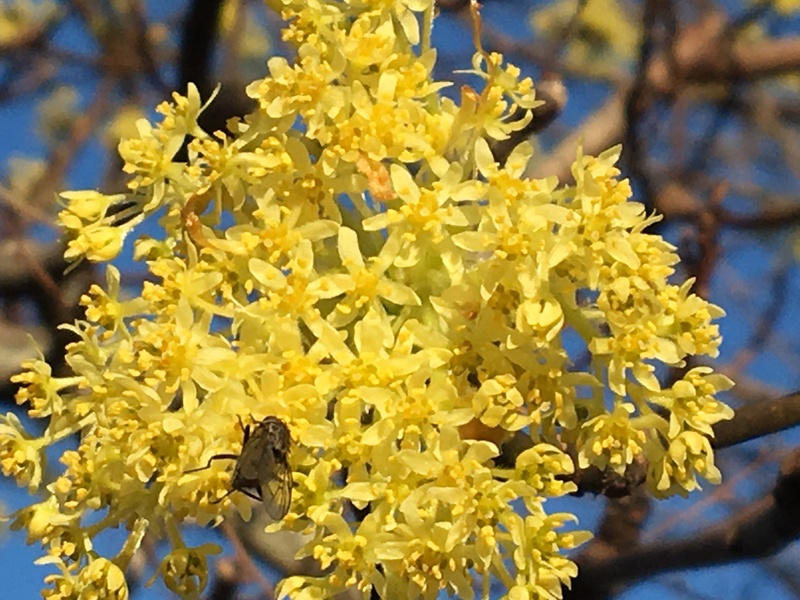 By any name, it makes a wonderful small to medium-sized tree to about 40′ tall, ideal for suburban landscapes looking for a shade tree in scale with today’s smaller lot sizes. Since it ranges over such a wide area, there is considerable variation in foliage but the typical forms found in cultivation have 5-7 lobes which usually have entire or smooth margins. The lobes are not deeply incised and often form broad triangles. 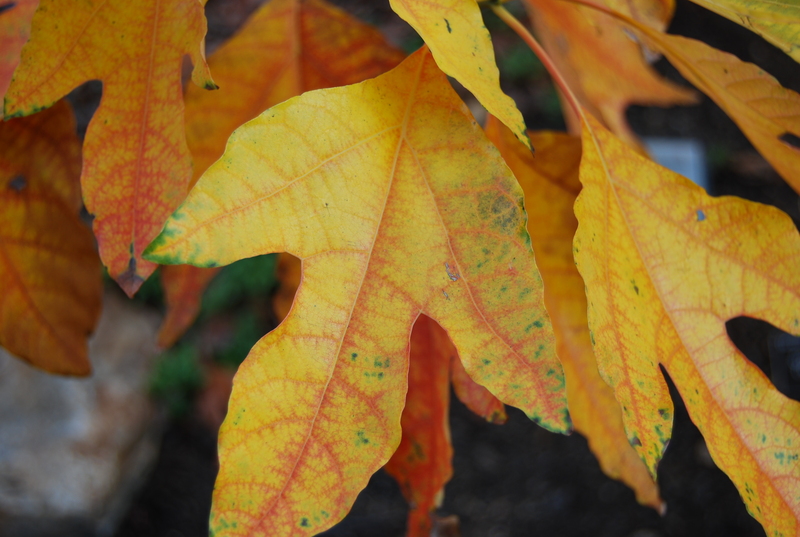 Fall color is usually a rich, buttery yellow and the smooth bark found on most varieties is quite attractive. 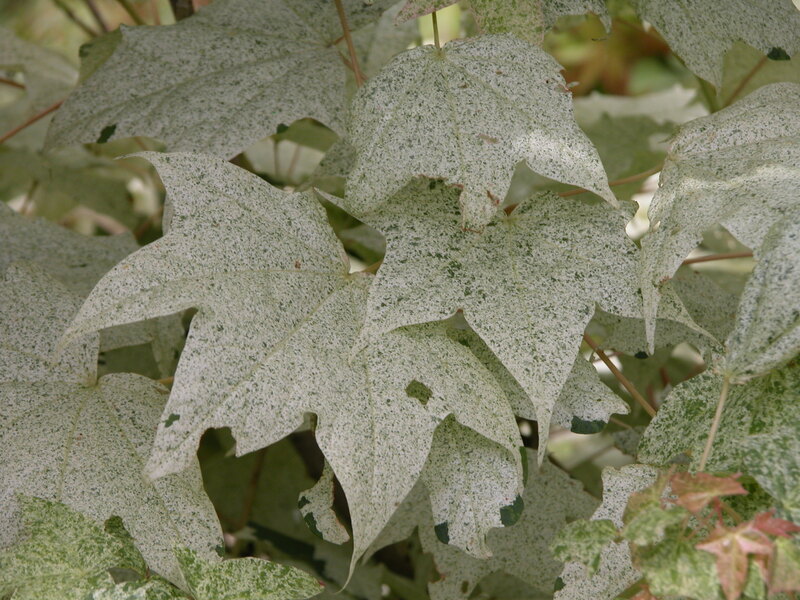 The drool-worthy speckled foliage of Acer pictum ‘Naguri Nishiki’. The Japanese have selected several variegated forms which can be exquisite additions to the garden. My favorite, ‘Naguri Nishiki’ is heavily speckled with a dusting of white spots to the point where it is more white than green. 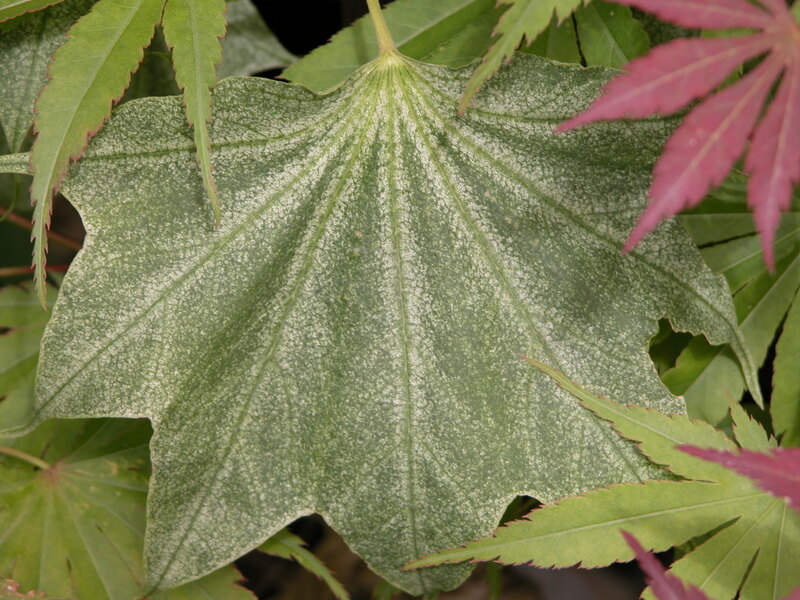 Another unusual form, sometimes known as the bat wing maple but more correctly as ‘Usugumo’, is also stippled with white but what sets it apart from other maples is the tissue between the veins. It looks almost like umbrella fabric stretched between ribs of the umbrella (or like a bat wing I suppose). It always elicits comment and discussion. 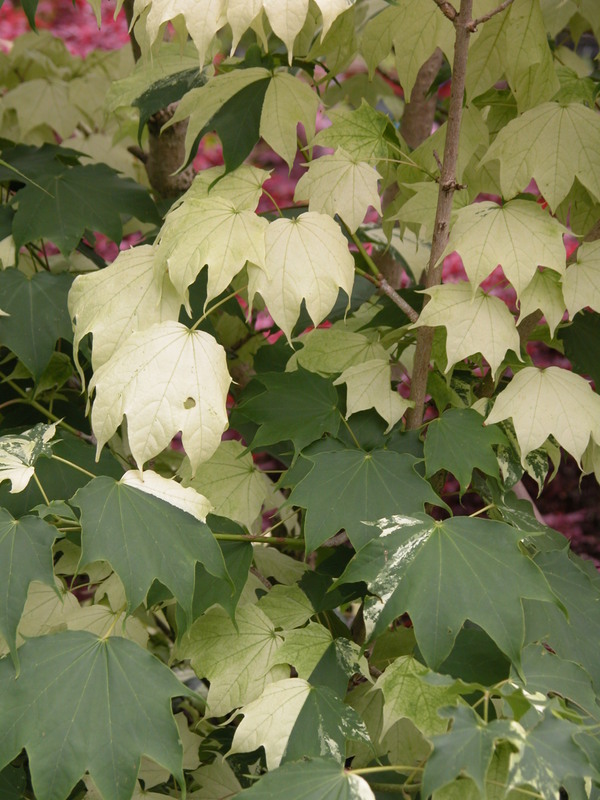 A third variegated form, ‘Tokiwa Nishiki’ has broad sections of its leaves sectored and splashed with white often with entire leaves lacking any green coloration. I imagine it requires some selective pruning of reversions but it is widely used in Japanese landscapes. ‘Tokiwa Nishiki’ makes a striking statement in the garden – definitely not for the faint of heart. This entry was posted in Plant of the Day and tagged acer mono, acer pictum, nishiki, painted maple, usugumo, Variegation on June 12, 2014 by Mark Weathington. Elaeagnus is a shrub many folks love to hate. A few of the species can be pretty weedy, especially E. angustifolia and E. umbellata, and even the non-weedy species can be a bit unruly if allowed to grow unchecked, sending long branches with spines out searching for tree branches to climb. But there’s no reason to throw the baby out with the bath water, many plants in this group make outstanding garden specimens. The most widely grown types are very tough broadleaved evergreens with sweetly scented spring flowers. I’ll never forget being stuck in traffic on a hot April day heading to Atlanta-Hartsfield Airport when my air conditioner died. On opening my window instead of being choked on exhaust fumes, I was greeted with the intoxicating fragrance drifting over from a hedge of Elaeagnus pungens. Elaeagnus pungens showing the coppery scales covering stems and leaves. 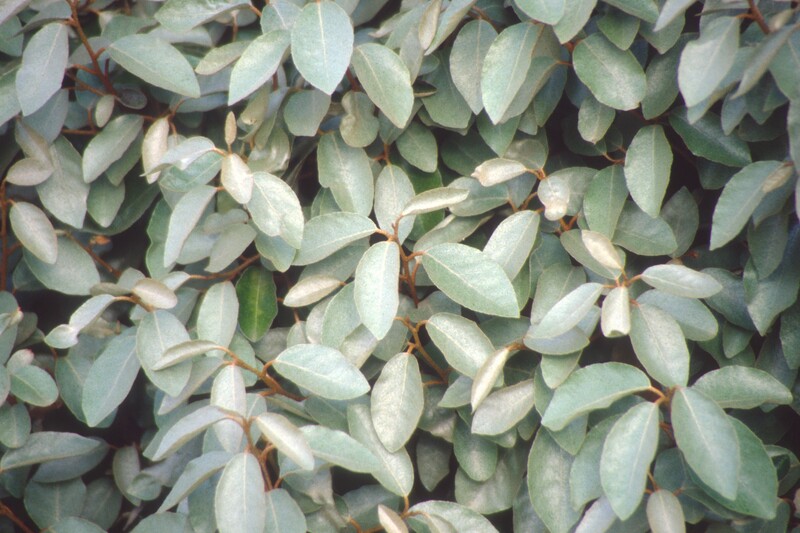 Elaeagnus are often known as oleaster or silver berry for the iridescent silver or coppery scales which cover most of the younger parts of the plant – leaves, stems, and fruits. There are both evergreen and deciduous species and some species are grown for their edible fruit. Some of the species have lovely blue-green or silver foliage and can be quite lovely but during winter I always return to the evergreen, variegated selections. 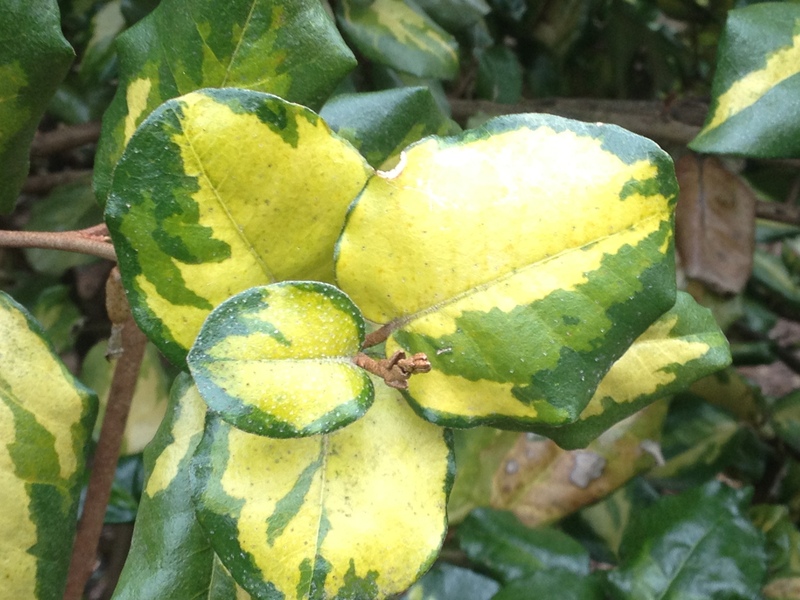 Elaeagnus pungens ‘Maculata’, sometimes known as ‘Aureo-variegata’, has a deep yellow, variable central blotch on a large leaf. Elaeagnus pungens ‘Hosoba Fukurin’ – hosoba denotes a narrow leaf and fukurin means margined in Japanese plant names, certainly an apt name for this narrow-leafed, yellow-margined evergreen shrub. This form is one of the smallest we grow. 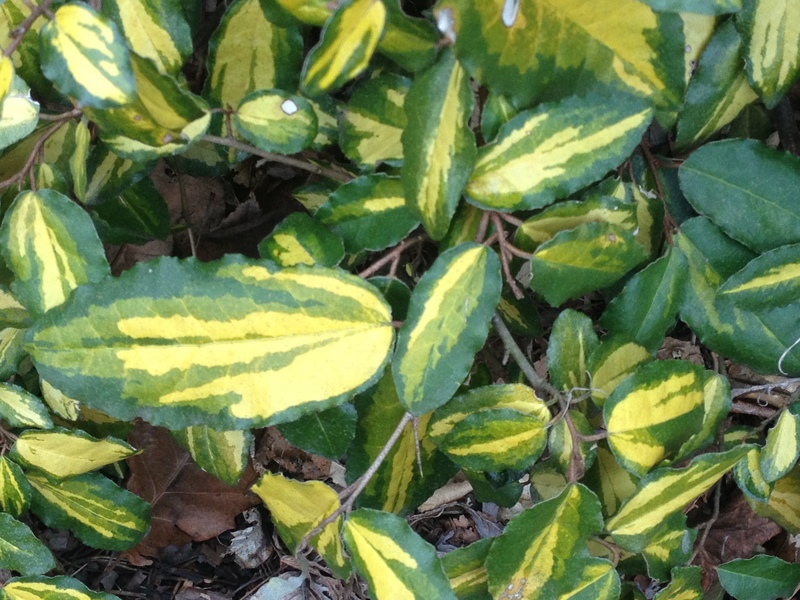 Elaeagnus pungens ‘Chirifu’ has a very regular and heavy speckling of gold over the narrow, green leaves. It appears to be a relatively compact plant. 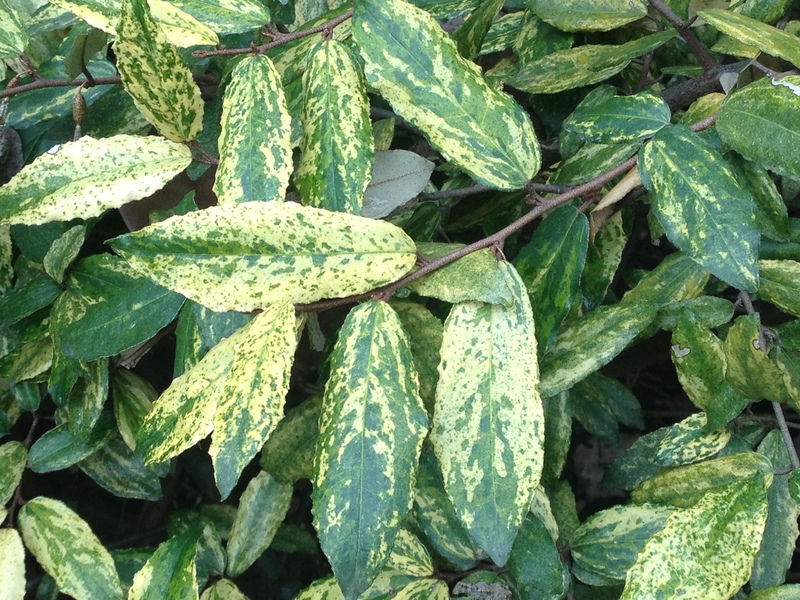 The Japanese word chirifu often denotes speckled or mottled variegation. Elaeagnus ×ebbingei ‘Gilt Edge’ is a hybrid between E. macrophylla and E. pungens with a regular, narrow yellow margin to each leaf. 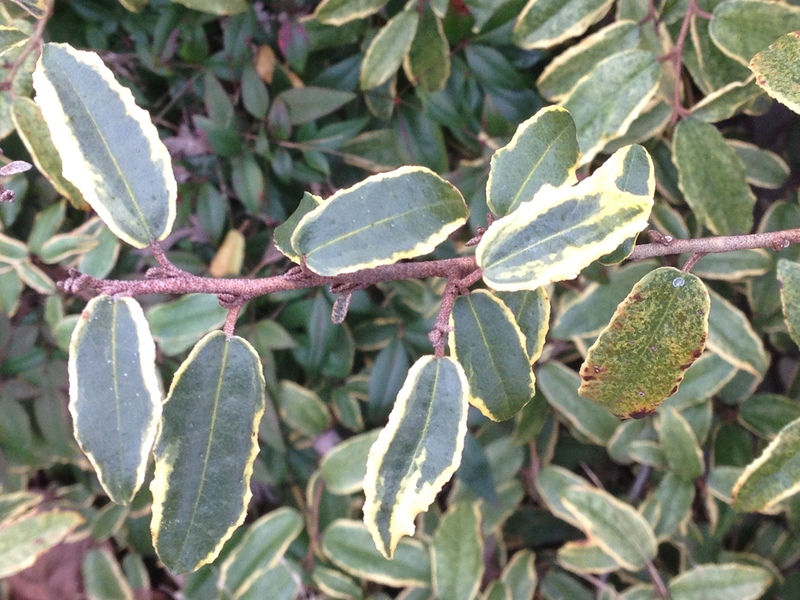 The yellow center of Elaeagnus ×ebbingei ‘Coastal Gold’ often covers almost 80% of the leaf and the leaf shape is closer to its E. macrophylla parent. 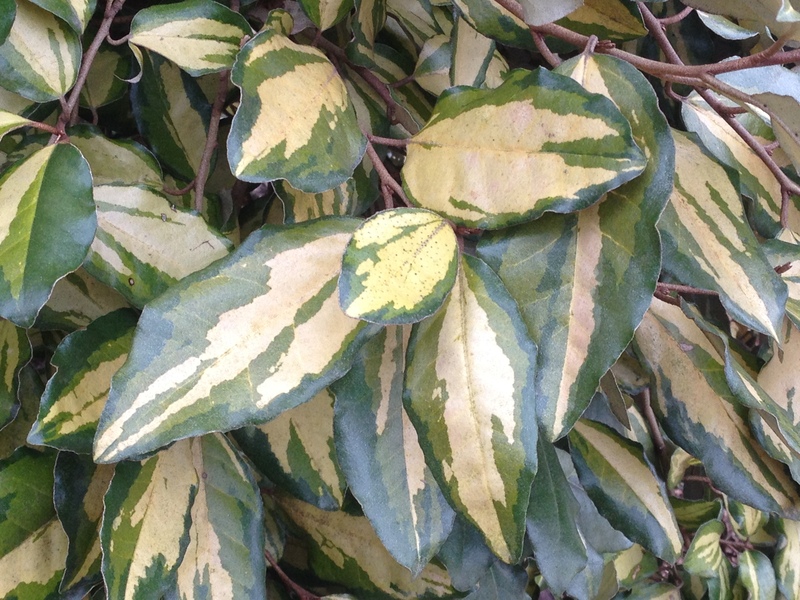 Elaeagnus ×ebbingei ‘Limelight’ has a narrower gold central blotch and the foliage is closer to E. pungens. 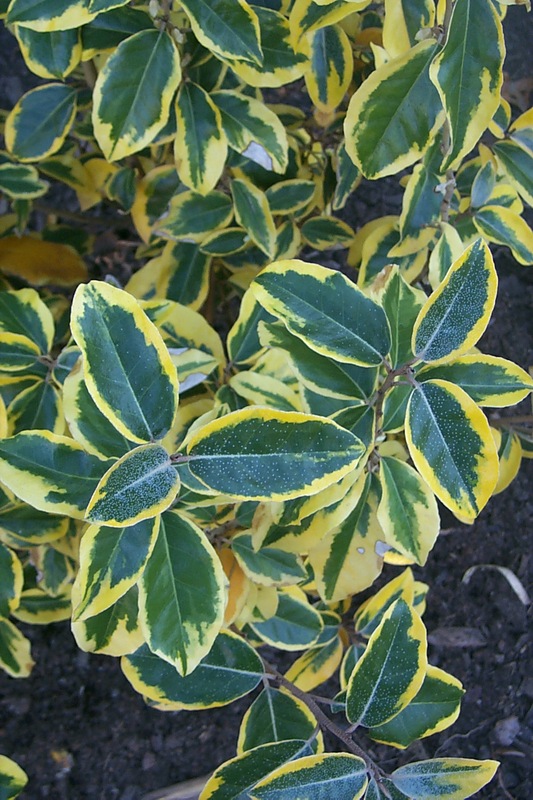 Elaeagnus ×ebbingei ‘Lannou’ (Gold Splash™) has a creamy yellow central blotch often approaching white on mature foliage. Elaeagnus can easily be maintained by pruning out long shoots after flowering or occasional hard, rejuvenation pruning. Elaeagnus, especially E. pungens, sends out long mostly leafless shoots with vicious spines. When the spiny shoots find their way into a tree or other structure, they become like hooks or anchors making the shoots difficult to remove. Propagation for the evergreen species is typically by semi-hardwood leafy cuttings or hardwood cuttings rooted with fairly high rates of KIBA (7500ppm – 10,000ppm) and bottom heat. 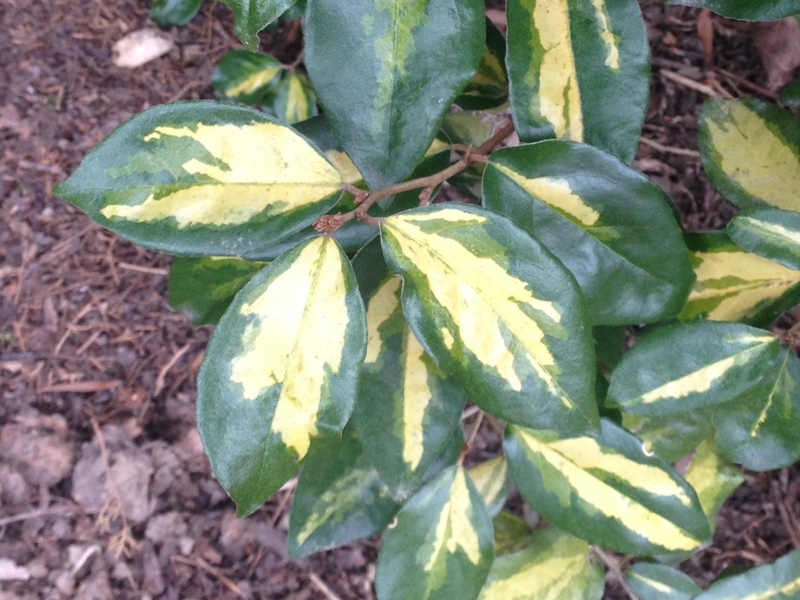 This entry was posted in Plant of the Day and tagged elaeagnus, evergreen shrubs, Variegation on February 12, 2014 by Mark Weathington. 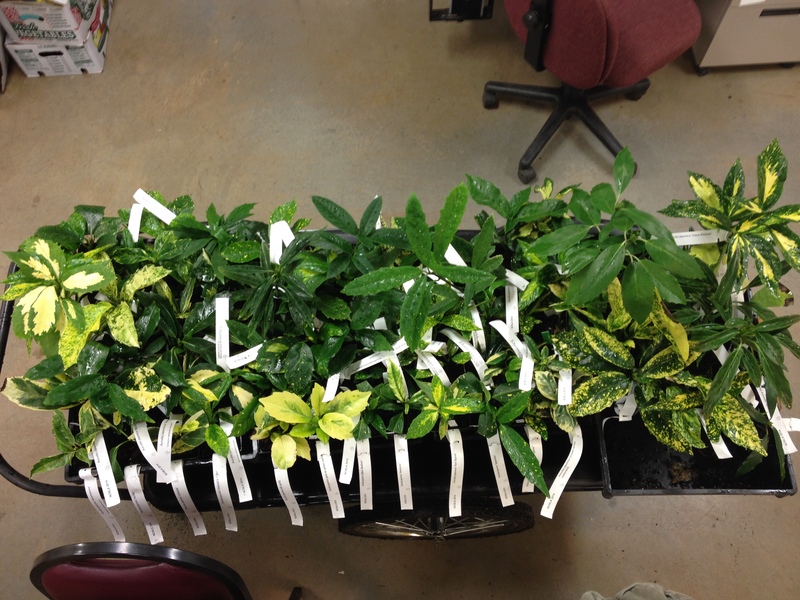 A selection of almost 80 Aucuba from the JC Raulston Arboretum to be displayed at the NCNLA Winter Trade Show. I like to think of Aucuba japonica as the Rodney Dangerfield of plants. Despite a long history of success in the garden, it still just gets no respect. 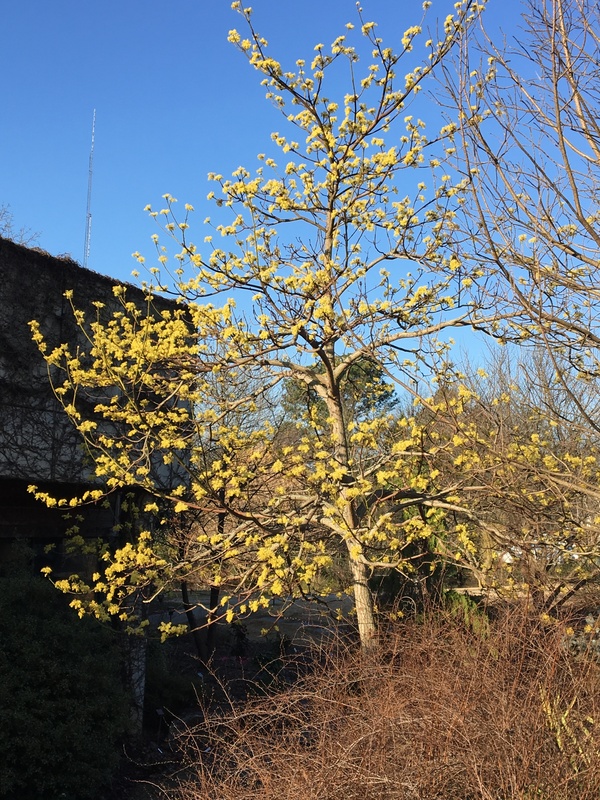 In fact, at a recent international meeting when I mentioned that the JC Raulston Arboretum was developing a significant collection a woman from the UK good-naturedly called it a parking lot plant while folks from various other countries nodded in agreement. Since only the toughest of plants can grow around parking lots I consider that as a mark in favor of the plant and not a knock against it. 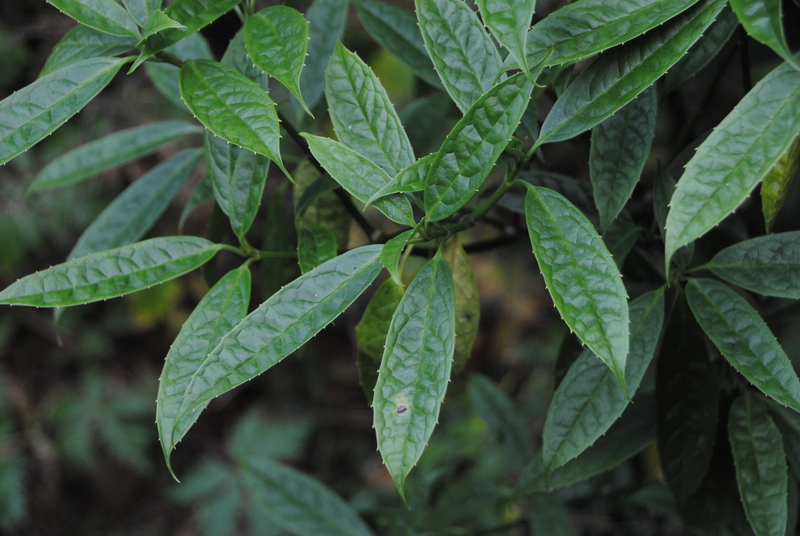 Aucuba chlorescens has conspicuously bullate foliage and is found in northern Vietnam and Yunnan. 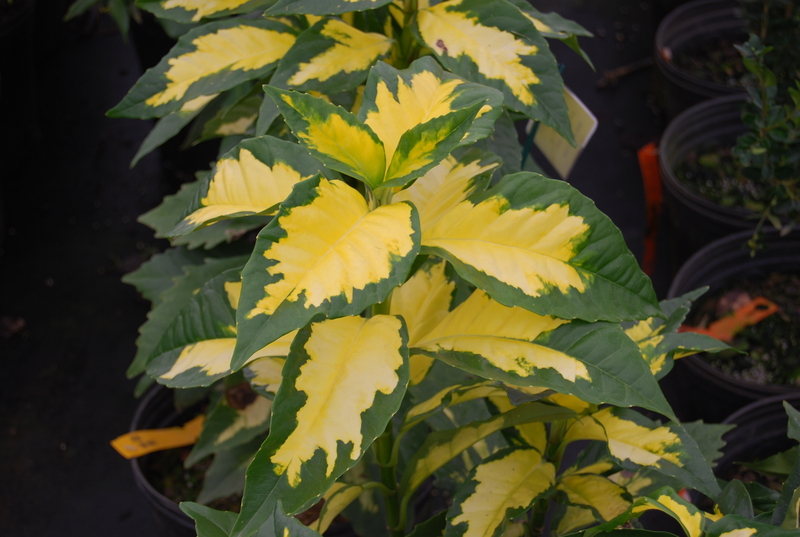 Aucuba has traditionally been placed within the dogwood (Cornaceae) family but in a rare show of respect has also been occasionally placed in its own family, Aucubaceae. Most recent treatments including the Angiosperm Phylogeny Working Group have grouped Aucuba with Garrya in the Garryaceae family. Aucuba is a group of about 10 or more species although the genus is still in some flux and there is likely several as yet unnamed species. 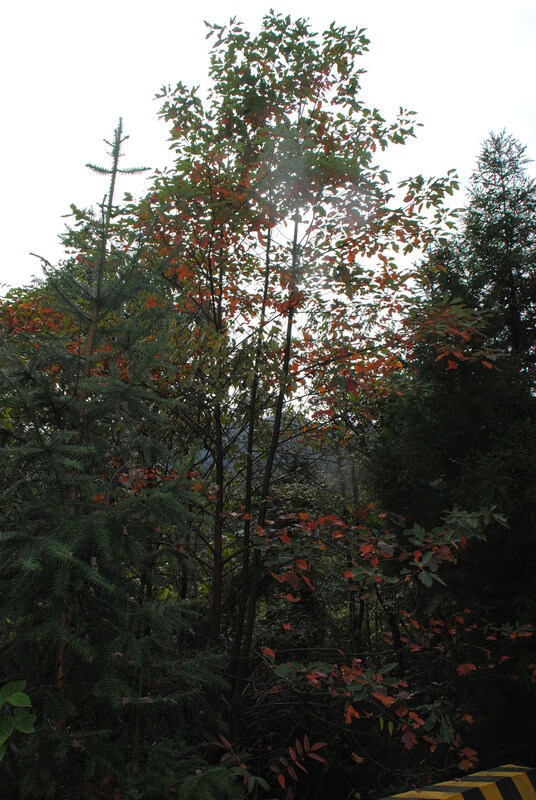 All the members of the genus are evergreen trees or shrubs with separate male and female plants. 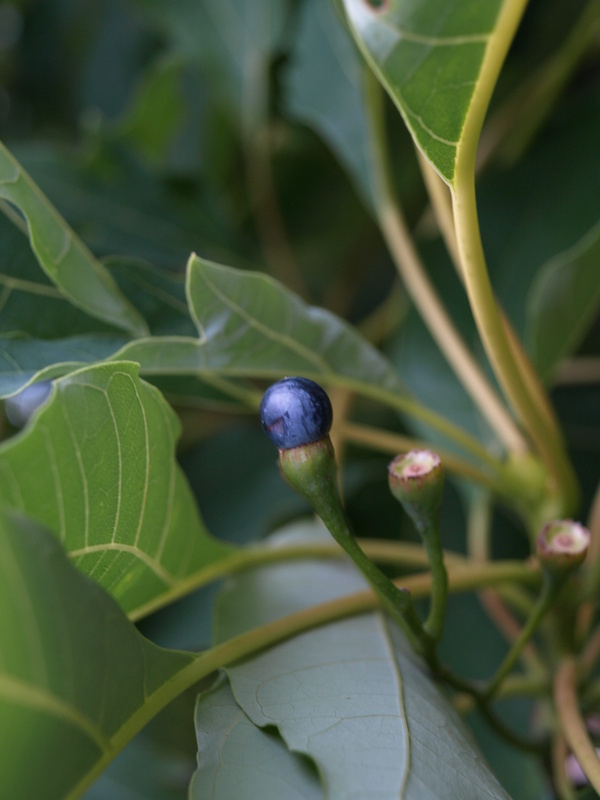 Both sexes are generally necessary for fruit production on the females but there are a few selections of Aucuba japonica which will often fruit without a male nearby. Interestingly, there is a very long period – often several weeks – between pollination and actual fertilization in the genus. Showy fruit on a green leaf female aucuba. John Graeffer first intoduced the Japanese aucuba (A. japonica) to the west in 1783. It represents one of the rare occasions when a variegated form of the species is introduced before the non-variegated type. 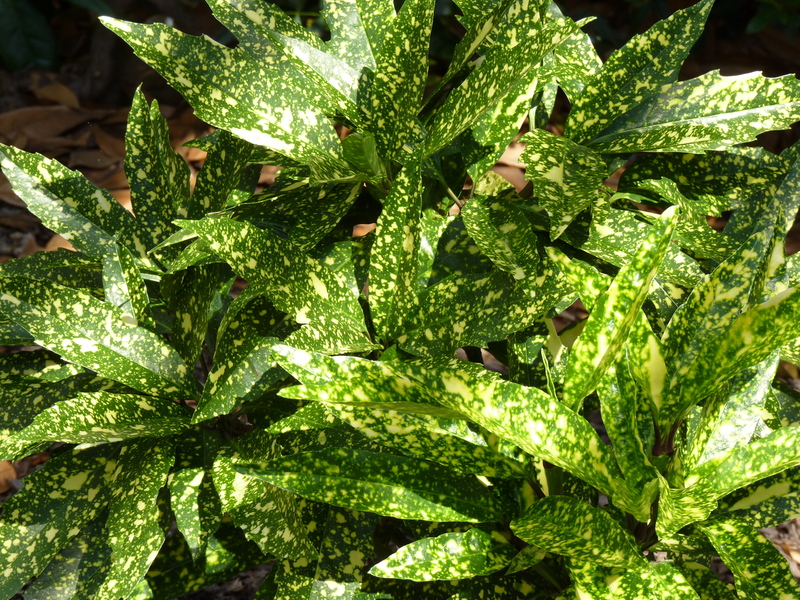 His introduction, ‘Variegata’, was the typical spotted “gold dust” plant that is still so common in the south. Although the introduction was a female, it was not until a male was introduced over half a century later that the ornamental value of the fruit was known in Europe. Male flowers are easily identifiable on Aucuba japonica with their 4 yellow stamens. W.J. Bean in his excellent Trees and Shrubs Hardy in the British Isles (2nd ed.) 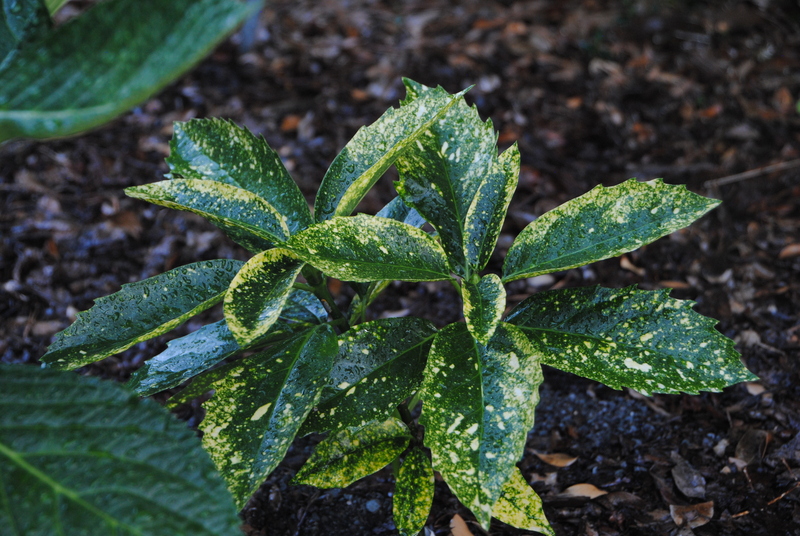 in 1916 has nothing but positive things to say about Aucuba japonica and noted that it was valuable for its tolerance to the dry shade found under lindens, horsechestnuts, and beech. By the 1976 revised 8th edition of the classic reference book it was noted that Japanese aucuba was also quite tolerant of urban conditions including smoke and other air pollution but the intervening 60 years between these 2 editions necessitated the comment “Today the aucubas… are out of favor, but the pendulum has swung too far.” The pendulum has never really swung back though and while many thousands of aucuba are produced and sold each year they are still considered a somewhat plebian plant perhaps simply for growing so easily. 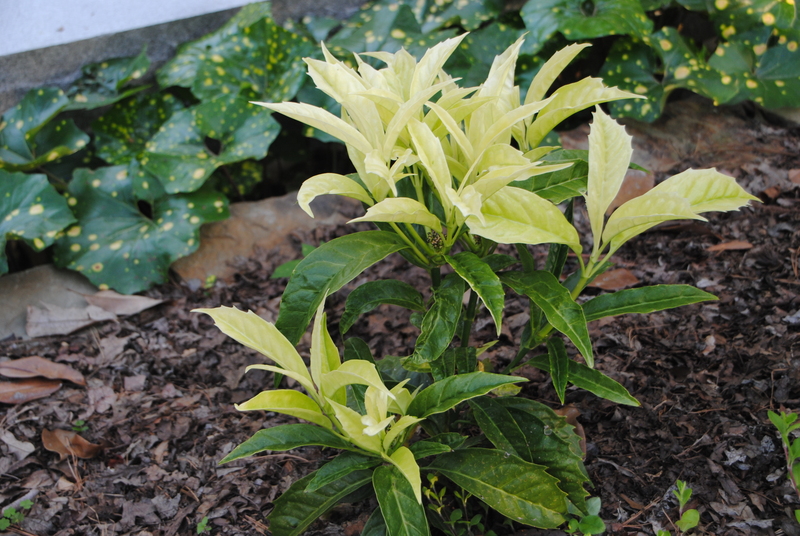 Aucuba japonica makes an evergreen shrub to about 8’ tall if left unchecked. In the wild it can be found both as a solid green-leaf plant or speckled with gold. The glossy thick-textured leaves are held opposite on the stems and leave conspicuous leaf scars after they fall. The upright rounded form is made up of a many erect, often little branched stems which are typically quite thick, smooth, and bright green. Male plants bear terminal spikes of burgundy flowers in early spring which are quite attractive on close examination but won’t stop a car driving by. Female flowers are somewhat less showy and are carried in the leaf axils. The bright red fruits ripen in the fall and stay showy often through the winter and into spring. 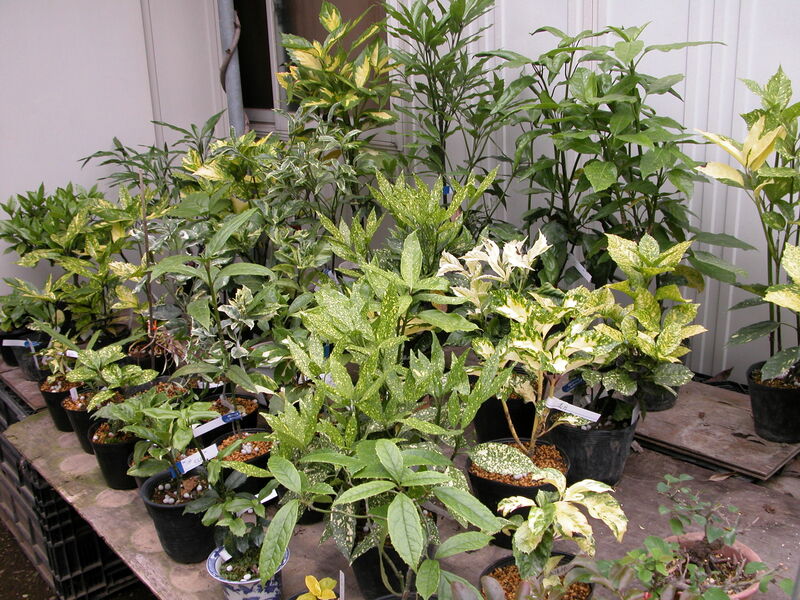 The JCRA has begun accumulating aucuba in earnest and now has about 95 selections and species. There are likely duplicates since many Japanese selections have been re-named over the years and much confusion exists in the literature. We have propagated most of our collection and plan to plant them out together in order to compare them side by side for variegation, growth habit, and fruiting show. Over time, we hope to clear up some of the confusion that currently exists and select the best of the bunch for promotion. 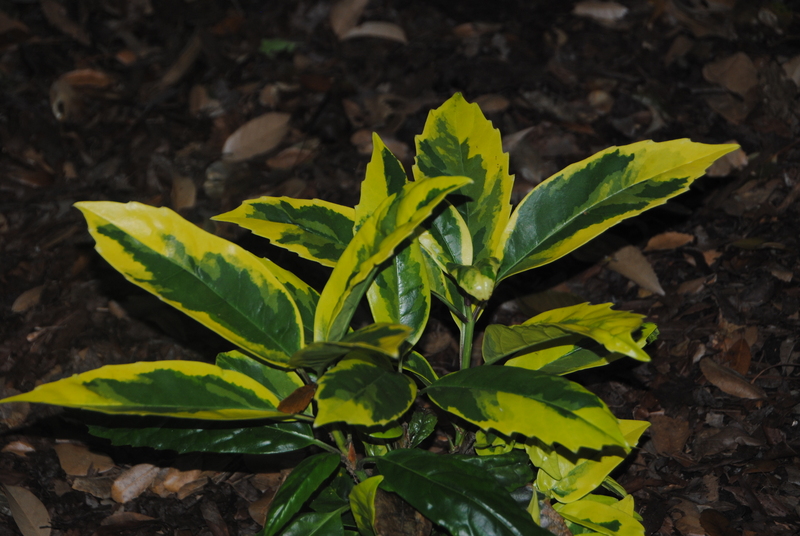 Aucuba, especially A. japonica, are easy to grow and as noted tolerate dry shade, pollution, and significant root competition from larger trees. Female selections will fruit best if planted in a relatively bright spot with male forms nearby. They will grow in full sun situations but will often have a somewhat washed-out appearance and are really at their best with some protection from harsh afternoon sun. Aucuba are easy to propagate from cuttings at almost any time of year from softwood or hardwood cuttings and will form thick vigorous roots often within a week of being stuck. There is a canker that can affect aucuba especially in overly wet locations. It girdles the stems and will turn entire branches and occasionally the whole plant black. When this dieback is first noticed, all affected parts should be pruned back well into healthy wood. The pruners used should be sterilized with a 10% bleach solution after each cut to avoid spreading the disease. Severely affected plants should be removed, bagged, and thrown away to prevent becoming a source for infection of other aucuba nearby. ‘Hosoba Hoshifu’ – A form with yellow spotted, narrow leaves. 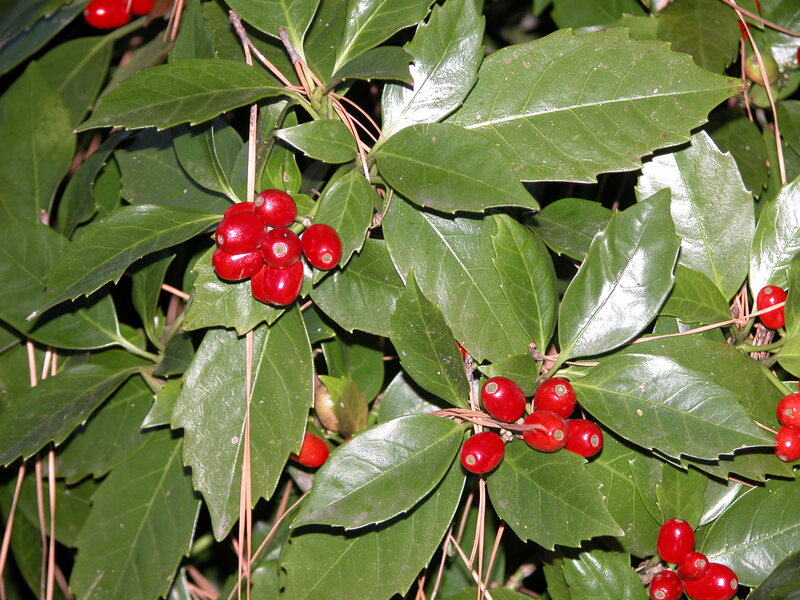 This selection has exceptionally glossy foliage and bright red fruits. In a group that often looks interchangeable, this form really stands out. ‘Ooba Nakafu’ – This form has huge leaves with a bright gold center. 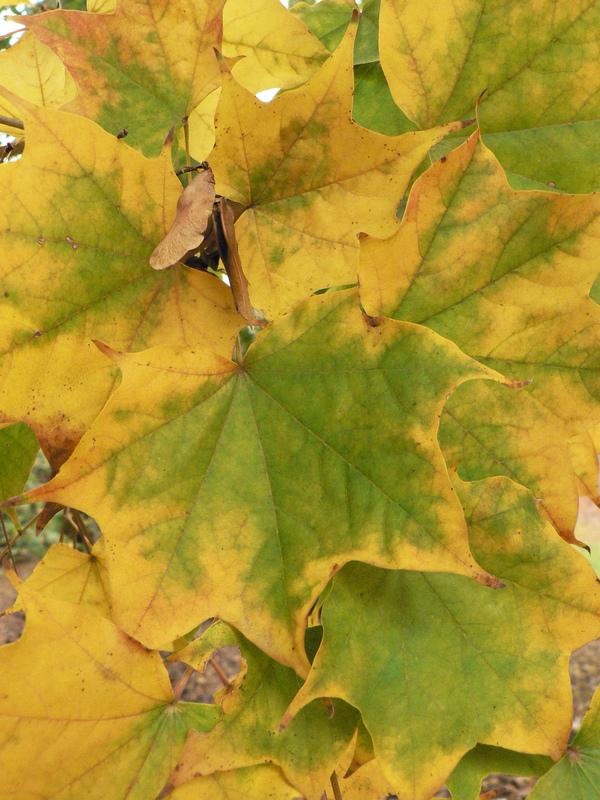 In heavy shade, the gold fades to a pale green but is still quite attractive. We expect this to become a fairly large plant. ‘Hime Kikufurin’ – This form has a bright gold margin to the leaf that is much deeper in color than some of the older selections. It should ultimately be somewhat smaller than the similar ‘Limbata’. So far it has held this color quite well even in deep shade. ‘Natsu-no-kumo’ – This is a patented selection discovered by the Japanese plantsman Seiju Yamaguchi. The new growth emerges pure white in spring before turning green. A full size plant is quite a sight in the garden. ‘Daisuke’s Tiger’ – This is mostly gold around the margins and tips and spotted with green while the green centers are speckled with gold. Quite a distinctive plant discovered by Daisuke Muramatsu in Japan and introduced by Asiatica Nursery. 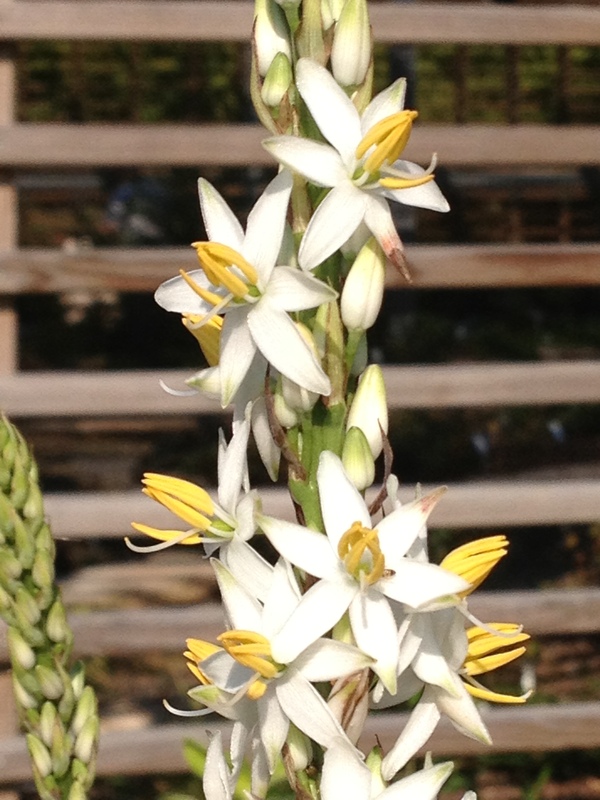 This entry was posted in Plant of the Day and tagged aucuba on January 14, 2014 by Mark Weathington. It is always fun to find a hardy species in what I otherwise think to be a tropical genus and I’m not alone as evidenced by the fascination in the last decade with hardy scheffleras. This particular plant, Chlorophytum cf. bowkeri, or African snake lily as it is known to the 10’s of people familiar with it in the US is a close relative of the spider plant that hangs listlessly in the corner of dentist offices. The houseplant is typically grown in its variegated form where its plantlets cascade down like young spiders. African snake lily is not like this cousin which spreads vigorously. Instead it forms a lovely clump of stiff, bluish-green foliage. In late summer into fall it sends up a stiff flower scape to about 4.5′ with lovely white star shaped flowers that open from the bottom up. 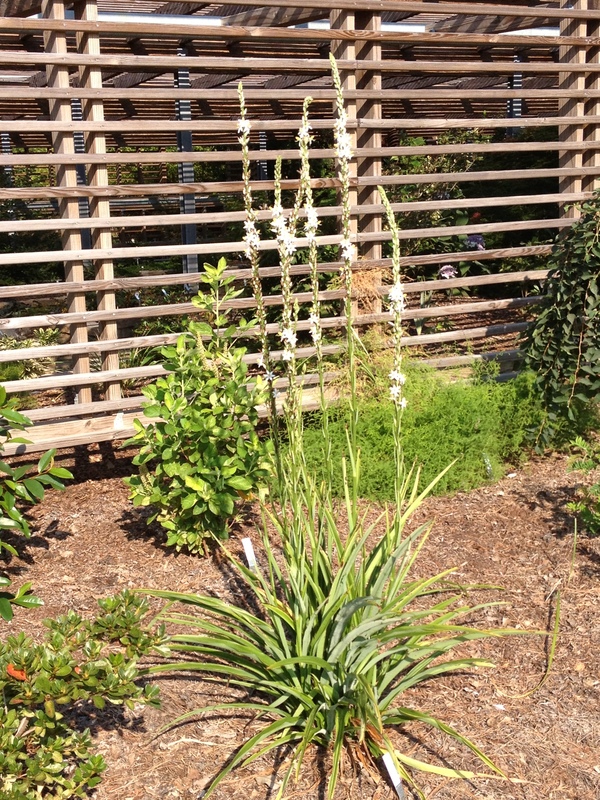 The plant hails from southern Africa. We’ve been growing ours in full sun where it has thrived but it would probably grow as well in part shade. 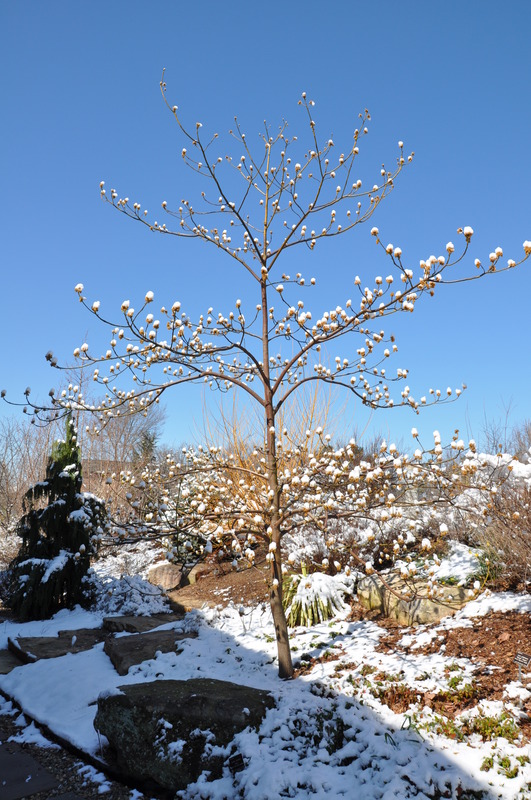 Hardiness is a bit uncertain but it should be fine to at least warm zone 7 gardens. There is some question as to the correct identity of this plant, it was received as C. colubrinum but it does not match that description. This entry was posted in Plant of the Day and tagged African plants, chlorophytum, spider plant on September 26, 2013 by Mark Weathington. Urban trees are always in demand. They must be drought and pollution tolerant, quick growing, and fill a niche. One such niche is under power lines. 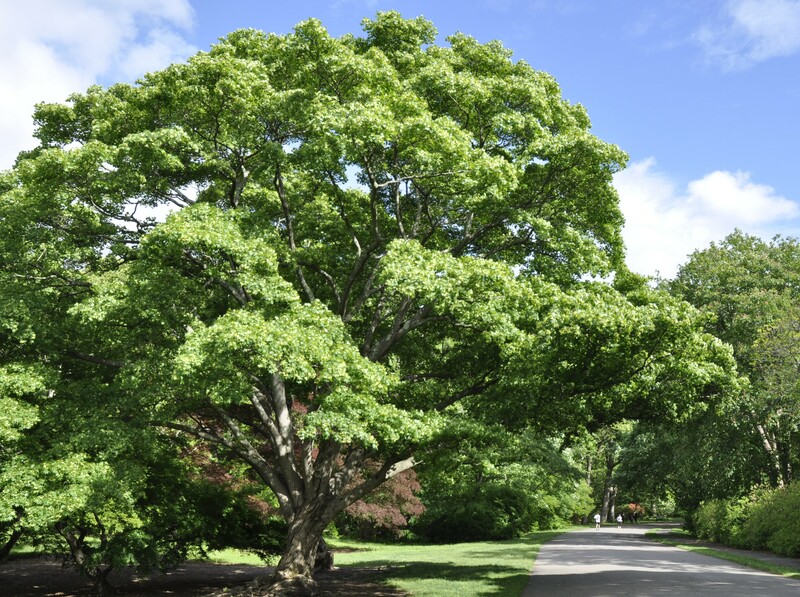 Zelkova serrata ‘JFS-KW1′ sold as City Sprite is a tree that fulfills all of these needs and is proving to be an outstanding performer at the JC Raulston Arboretum. This tree has put on a very full crown in a very short amount of time and has developed a nice, straight trunk. Plants are extremely uniform and the relatively small (to about 25′ tall by 20’ wide) size makes it ideal for many situations. Color is bright green all summer, typically lighter than other zelkovas. Fall color is variable but can be a very nice burgundy to red. 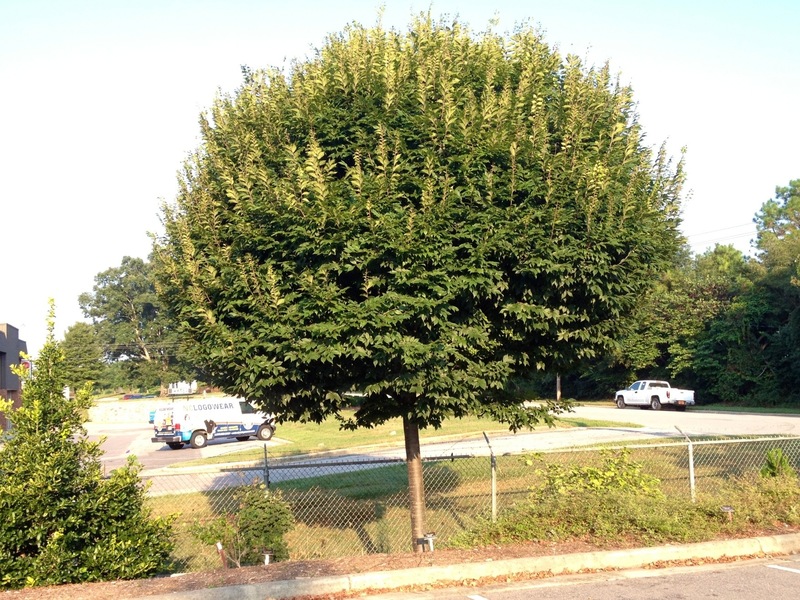 This entry was posted in Plant of the Day and tagged Zelkova on September 9, 2013 by Mark Weathington.